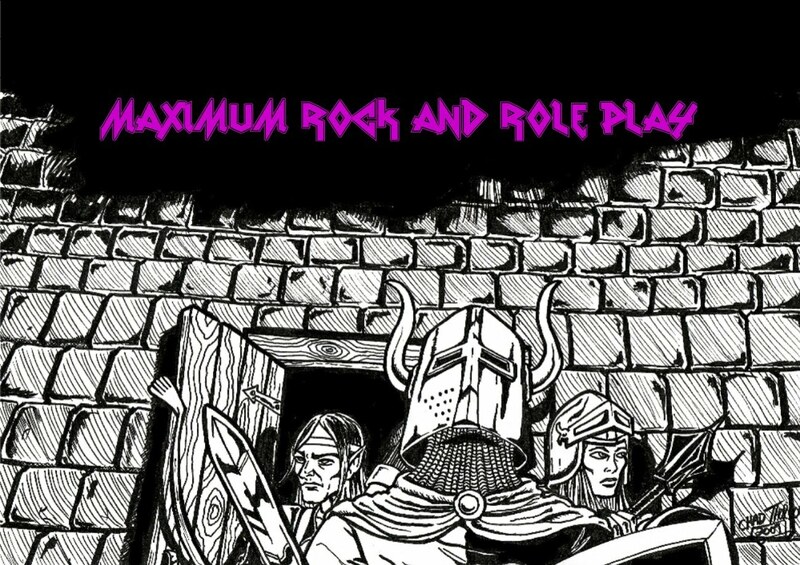 Maximum Rock & Role Playing: Standing On The Shoulders Of Giants! 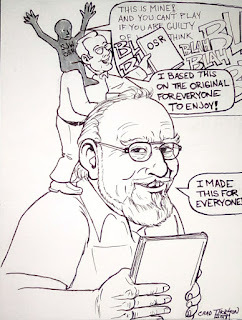 This was my response to the current Non-troversy surrounding the OSR logo. I haven't been personally involved in the OSR in years mostly due to the way people in the OSR behave. It started out as a labor of love and then turned into a battle of egos. I'm not going to name anything specific but it just wasn't the same thing to me that it was at it's peak in 2010. Quite a few years ago I came up with a logo based on the TSR logo. An original ripoff you might say. I made no claims on it and put it out there for anyone to use. A lot of gamers came up with their own versions, ones way better than my crude logo. One in particular was really good and it was adopted for quite a few products. A couple of days ago I came across a rant about how his logo was being used to harass minorities so he was revoking it's use for such purposes. He didn't name anything specific so it was left up to the reader's imagination. Any gaming products meant to harass anyone seems like a really poor gaming material and I doubt you'd find an audience for it. I thought this seemed strange and sounded a bit like a political purity test. I contacted the author and told him I did the original and said people ran with the logo and he blocked me on Twitter. I'm not going to try to understand his motivation but I don't trust grandstanding in the guise of silencing speech. You can inject your politics or personal views in your games but you run the risk of alienating some of your audience. Immersing yourself into a fantasy world means leaving every day nonsense behind. I know I don't need to explain escapism to gamers but more and more it seems political extremists want to inject their ideology into every form of escape, creating no-escapism. Why buy a product that just reminds us how crappy the real world can be? 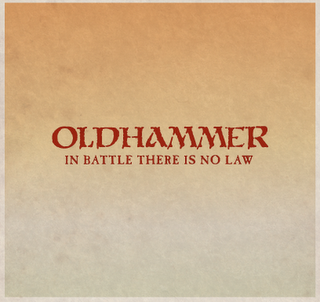 I may get involved with the OSR again, I did enjoy it early on but a big failing of the OSR is the lack of humility and reverence for the original creators. If it weren't for them then none of this would exist. 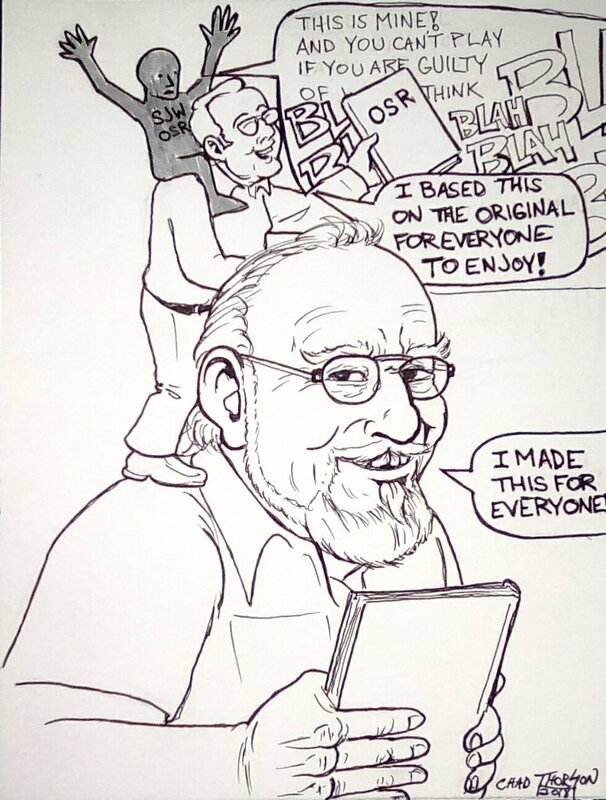 Make your own products and enjoy your gaming but remember that you stand on the shoulders of giants. Solid blog post, hoss! Yes, we do stand on the shoulders of giants. And the illustration was amusing - love the NPC meme inclusion. Interesting about your contacting the author and telling him you did the original, encouraged people to run with it, and he blocked you. Out of curiosity, what RPGs do you run, play, and/or write for now? Thanks Venger! Right now I'm not doing any gaming other than with my family. I've been running Holmes for my kids. I did some illustrations for Ral Partha most recently for their Chais Wars minis game.